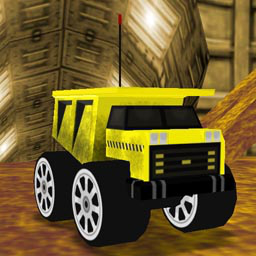 That's a truck based on RC Revenge's Big Rock and the truck model from Toy World levels. It has an average speed and acceleration. Springs are quite bouncy.